Motion detectors are an important part of many security systems. 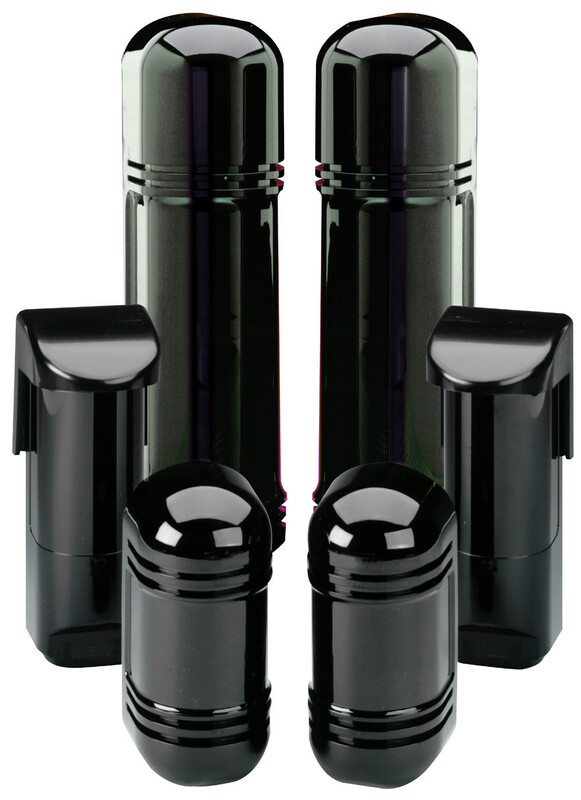 They provide efficient, versatile protection of spaces within a home or business. In most security system designs, all of the exterior doors are contacted, leaving the task of detecting an intrusion through windows or elsewhere. That is where motion detectors come in. If an intruder got into your property, it would be the job of the motion detector to detect that unauthorized intrusion and signal it to the control panel. It is usually good to place motion detectors on levels of your property where window entry is feasible. 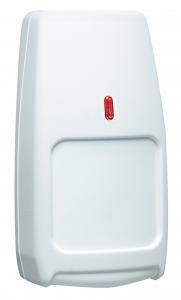 A single motion detector in the basement is often used to cover the entire space. It is normally placed in a location where it would detect the intruder before they could go upstairs. On the main level of the home, we often place a motion detector in the foyer of the home as a high traffic area, and more importantly, to prevent an intruder from getting upstairs undetected. In larger homes a second motion detector in the back of the home is sometimes also recommended. As discussed in the section on Space protection security systems, motion detectors are very efficient and even in a perimeter protection security system, they make a good second line of defense. There main limitation is that they are only effective in protecting a space where no one is expected to be. Therefore, when you are moving around your home or business, the motion detector will need to be disabled. You can disable your motion detectors by arming the security system to ‘stay’ mode. In this mode the motion detectors are not active. In newer Honeywell security systems, there is also a ‘night’ mode that allows you to select which motion detectors are active. With night mode, people often turn the basement motion detector on. 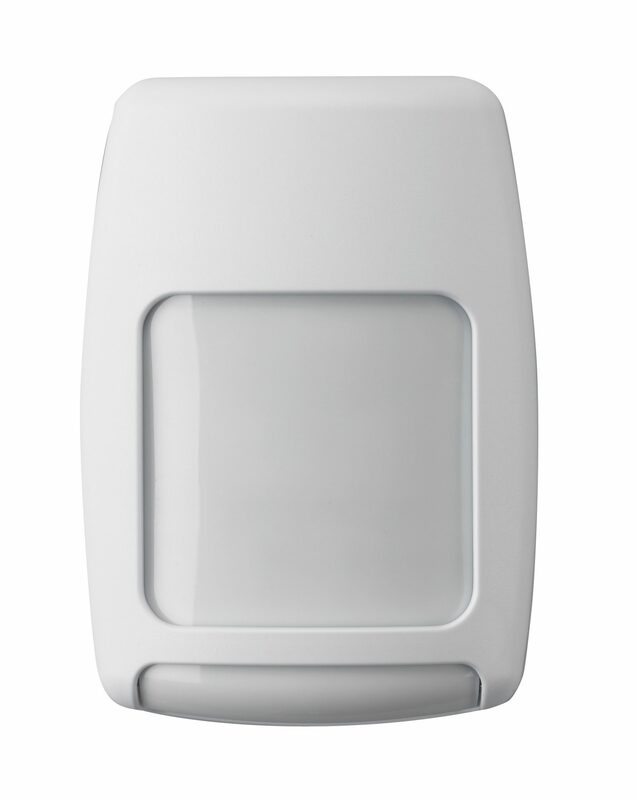 There are several different types of motion detectors and most types are offered in both wireless and hard-wired versions. The wireless motion detectors are battery powered and are used in situations where running a wire to the control panel might not be practical or efficient. While the equipment costs a little more, installation is simpler. 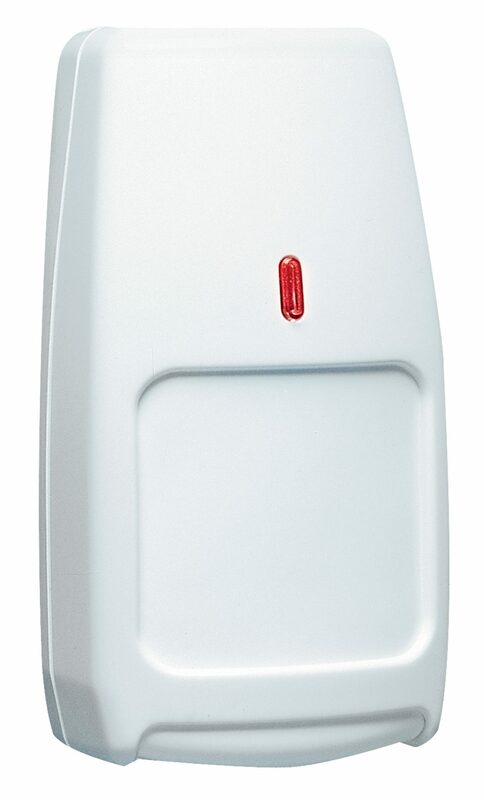 Honeywell offers several different wireless motion detectors including the 5800PIR, 5800 PIR-RES, 5800 PIR-COM, and the 5898. One of the most important developments in motion detector technology is the introduction of the pet immune feature. This is accomplished in one of two ways. The original way of doing it was to mask off areas where the pet was likely to be walking, such as the floor for example. This approach was also called “Pet Alley”. The newer technique attempts to determine the size of the moving object and tries to ignore anything under 40, 80, or 100 lbs that is moving near the floor. While these motion detectors deliver outstanding results, they still will occasionally yield a false alarm when several animals are moving together or when they climb on furniture or come down the steps. 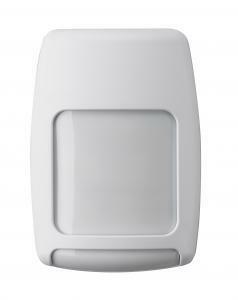 Motion detectors can also be used outdoors to protect equipment and inventory stored outdoors. False alarms are difficult to prevent with traditional motion detectors when animals might be present. Photo beams provide effective perimeter protection by detecting when someone crosses the beam at a particular height. In conclusion, motion detectors provide very efficient protection in a space protection security system and are a valuable second line of defense in a perimeter protection security system.